Learn about our neighborhood at Springs at May Lakes. 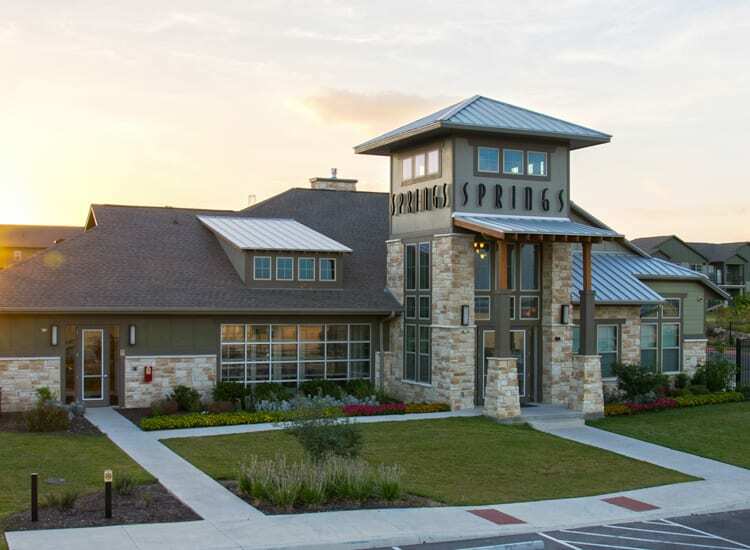 Click to learn more about the Springs at May Lakes pledge. Your luxurious new home is waiting for you at Springs at May Lakes. Set on the fringes of the vast Great Plains, our gorgeous apartment homes are ideally positioned in South, OKC, offering easy access to the city and its surroundings. 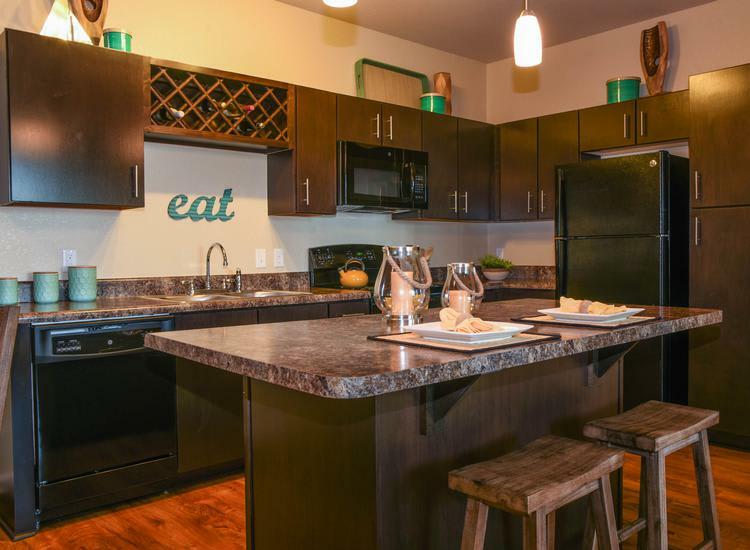 Our studio, one, two, and three bedroom apartments are equipped with a wide array of in-home amenities. From sturdy and easy-to-clean hardwood-style floors to sparkling granite countertops in our chef-ready kitchens, our homes have all the features you need to live your very best life. 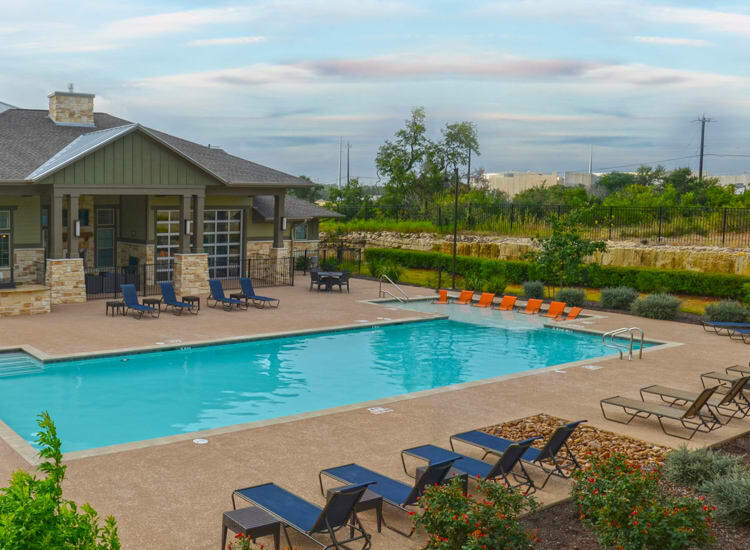 Plus, when you live at Springs at May Lakes, you gain access to our exclusive community amenities. Take a dip in the resort-inspired swimming pool, and test your muscles at the state-of-the-art 24-hour fitness center. At Springs at May Lakes, great customer service means wonderful and personal greetings, well-maintained grounds you can be proud of, quick and quality maintenance resolutions, and timely follow-up from our team. You can always count on us to listen and be accountable. We love your pets at Springs at May Lakes! Oklahoma City is a delightful city with an urban flair, and Springs at May Lakes puts you in the center of the action. Our luxury community simplifies your errands with short drives to Crest Foods, Natural Grocers, and Green Acres Market. If you need to update your home or wardrobe, head downtown to Penn Square Mall to shop all your favorite department and specialty stores. If you work up an appetite, pick up curry takeout at Panang Thai Restaurant, or stop for soup and a sandwich at The Stuffed Olive. If you prefer the great outdoors, spend an afternoon playing golf or enjoying the waterpark at Earlywine Park. And as an added convenience, we are also close to FAA Academy for those residents seeking a short-term lease option in an accessible location. We pledge to provide excellent customer service to all of our residents at Springs at May Lakes. That offer extends to pets, too! Our luxury community is thrilled to welcome pets and pet-lovers. We welcome cats, dogs, birds, reptiles, fresh and saltwater fish, small furry animals, and most exotic pets. Your indoor pets will appreciate the central heating and air conditioning, so they can stay comfortable all year long. You and your dog can explore the grounds and even take advantage of our on-site off-leash dog park. If she gets muddy, stop by the pet wash station for a quick rinse before you head home. If you’re ready for your new apartment, Springs at May Lakes is ready to welcome you home. Call our professional team today to set up your tour of our Oklahoma City, OK, apartments for rent.